First few screenshots in Weekly Famitsu. 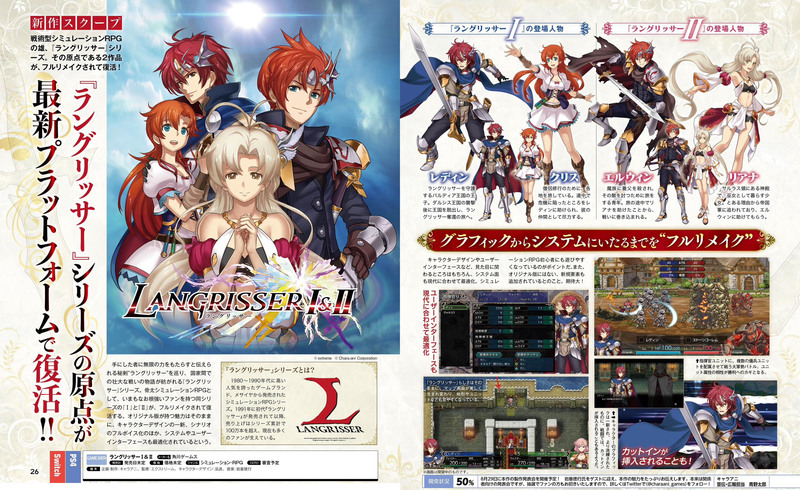 The latest issue of Weekly Famitsu is now available, which provides a look at the newly announced Langrisser I & II remake package for PlayStation 4 and Switch. Chris – A traveling cleric pursuing her craft. Ledin saves her when she falls into danger during her travels, and from there she offers her support as an ally. A release date for Langrisser I & II has yet to be announced. A formal announcement event will take place on August 29.